One dozen premium strawberries are hand-dipped in real chocolate to create an unforgettable sweet treat perfect for sharing or enjoying all to yourself. Includes four each milk, white, and dark chocolate-covered berries, each finished with a contrasting chocolate drizzle for an elegant appearance that's as impressive as their taste. 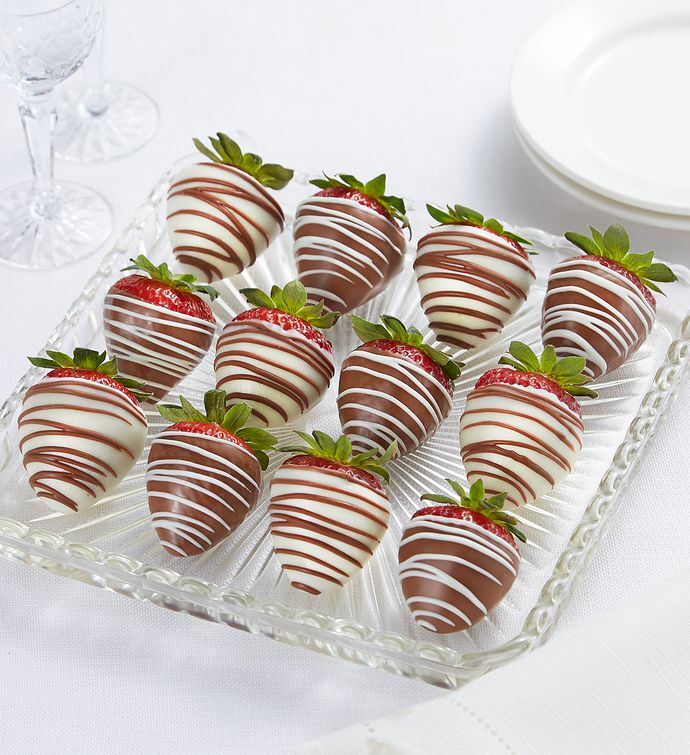 These berries ship overnight and arrive in a decorative Berrylicious® gift box.